The Thompson Tide: Torrey Time!!! 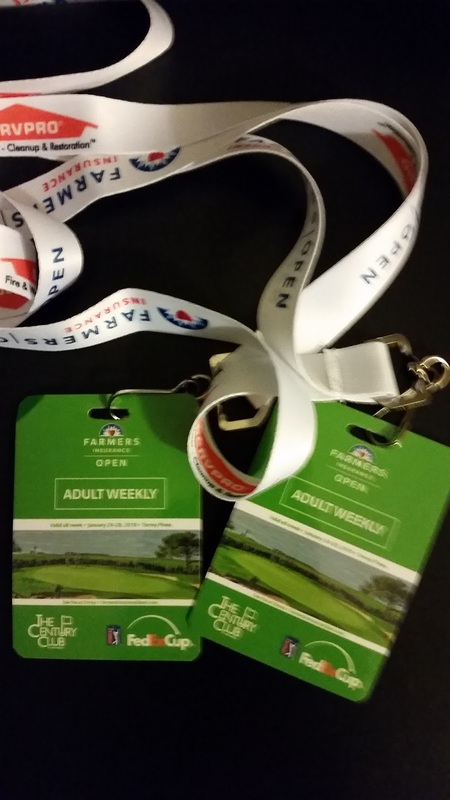 It's my favorite non-major week on the entire PGA Tour schedule and tomorrow can't come soon enough! The PGA Tour is in my home town of San Diego for the Farmers Insurance Open and Michael Thompson is along for the ride. And that means, so am I! The Farmers is played at Torrey Pines Golf Course along the beautiful Pacific Ocean and utilizes both the North Course and the South Course. Each player with play each course once on Thursday and Friday and after the cut the remaining field will play the South Course over the weekend. The South Course is annually one of the hardest courses on Tour and is long....really, really long. And it's length gets even more pronounced if there's a wind coming off the ocean. The North Course has historically been roughly two shots easier than it's big brother to the South but renovations adding length and re-doing some greens evened out the scoring a bit last year. It remains to be seen if that trend will continue this year or if the North Course will once again play significantly easier as players get more familiarity with the new greens. Michael will tee off in the first group off the tenth hole on the North Course tomorrow at 9:00 am PT. He is grouped with Ollie Schniederjans and Anirban Lahiri.